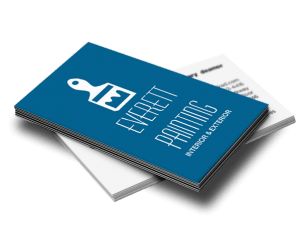 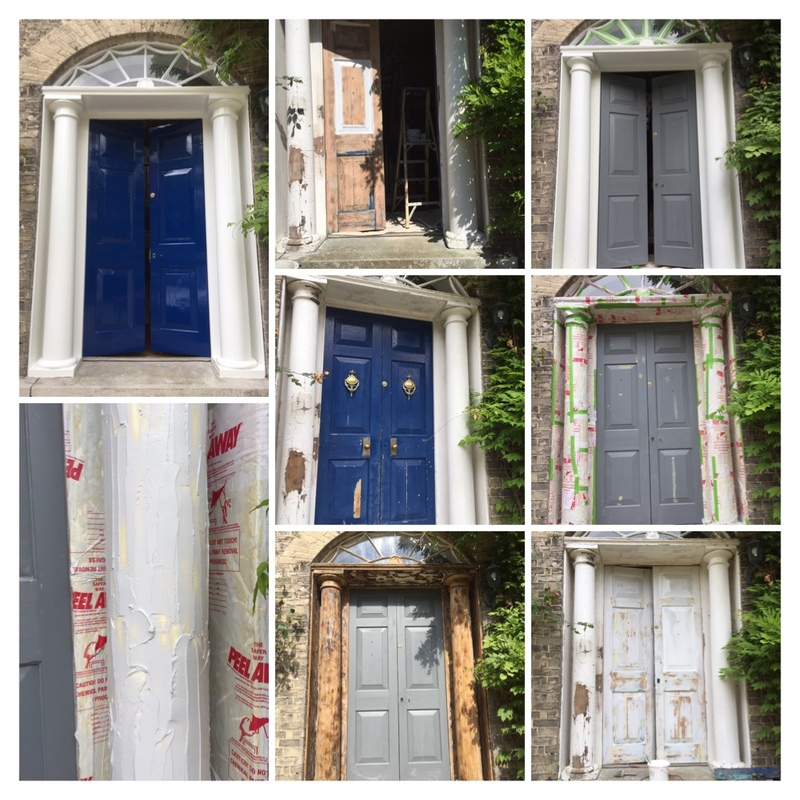 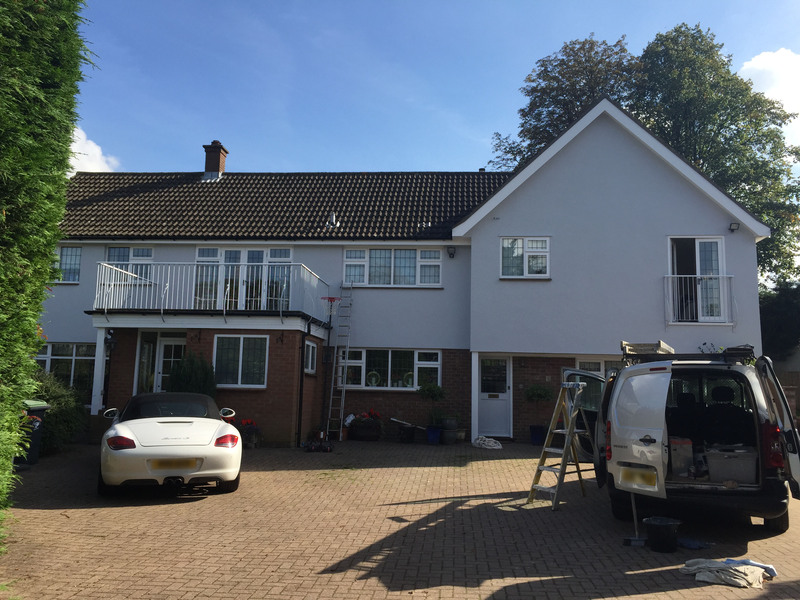 Painting and Renovating older properties can present certain issues especially when dealing with paints that where manufactured before 1978 which could contain lead and which pose the risk of lead poisoning , heightened during removal by dust and fumes. 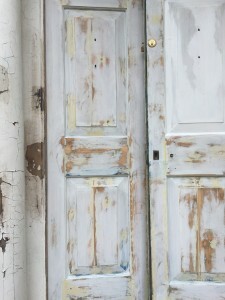 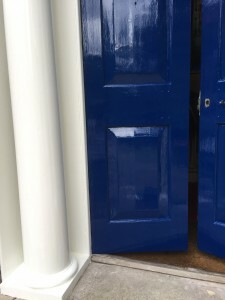 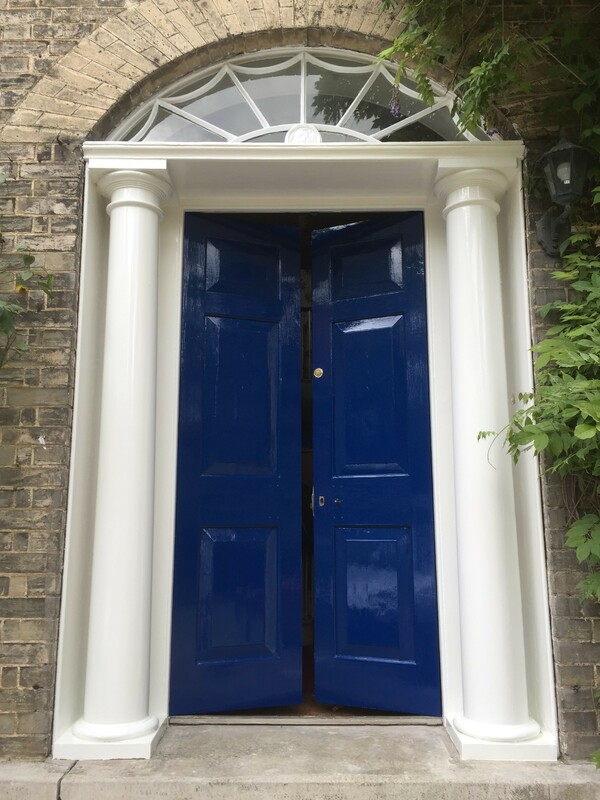 The paint on the woodwork on the Columns and Surround of this Doorway had a build up of many layers of paint over the years which in turn had the effect of hiding the features of the mouldings and was also in very poor condition. 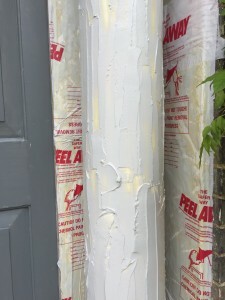 The paint needed to be removed and due to the nature of the surface and that the old original coatings of paint on the Surround and Columns would contain lead I opted to use Peel Away 1 which can penetrate and react with the oil/lead content of multi-layers of older coatings, during the process of removal the paint remover is applied as a thick paste then covered over with a sealed paper blanket and left for up to 48 hours, on removal most of the old paint is peeled away and stuck to the blanket offering no hazardous dust or fumes. 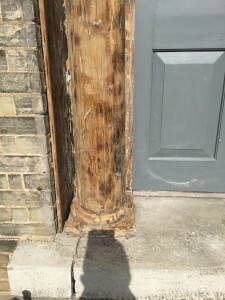 Once the stripping product was removed the whole area was power washed to remove any residue, the bare wood was then treated with a neutralising agent and left to dry out over night.